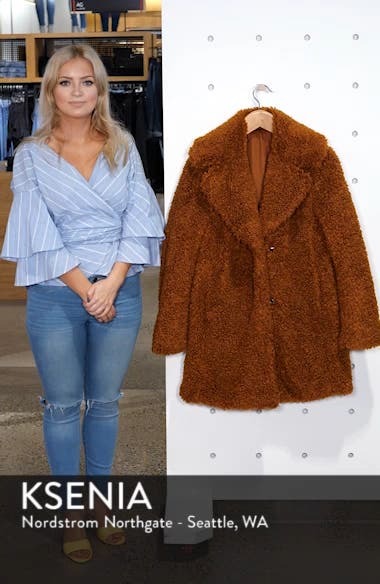 Oversized notched lapels top a versatile three-quarter coat that wraps you in soft and plush faux fur that's as huggable as a teddy bear. Choose a sizeRuns large; order one size down. XS=0-2, S=4-6, M=8-10, L=12-14, XL=16.